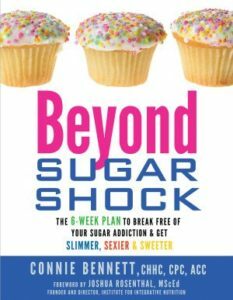 From Connie Bennett, author of the bestseller Sugar Shock! 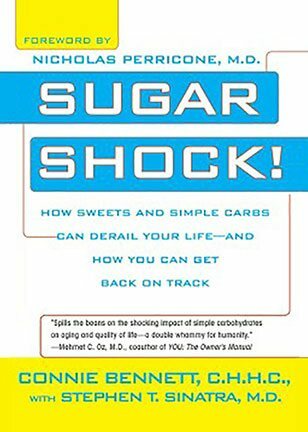 — the book that Mehmet Oz said “spills the beans” on the shocking impact of sugar and simple carbohydrates — comes Beyond Sugar Shock, the first book to provide a simple, practical, mind-body-spirit plan to help readers break free of their sugar or carb addiction. For the millions of people worldwide who suffer with such frustrating problems as excess weight, low libido, overpowering fatigue, and many other unexplained ailments, Beyond Sugar Shock provides a simple, step-by-step, six-week program to gently guide readers to a healthier, happier, sweeter life. Remarkable Sweet Success Stories with before-and-after photos. 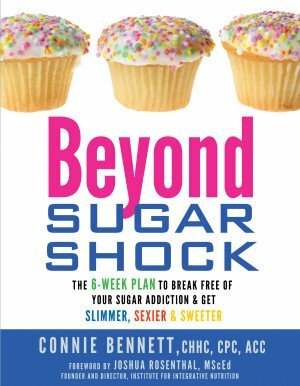 In Beyond Sugar Shock, readers will find out that letting go of their sugar or carb addiction is much simpler than it seems-and it can even be fun! And once they’ve addressed their addiction, readers will not only look and feel better, but will also experience an overpowering sensation of joyous freedom and a sweeter, balanced life. Order now on Amazon! 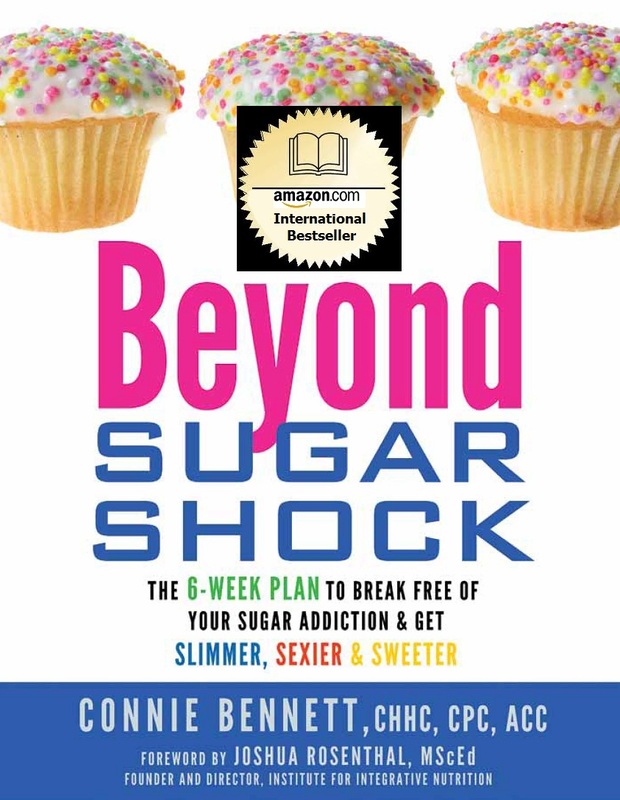 “Tired of being a sugar junkie? 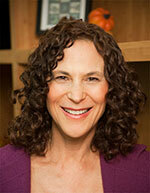 Ready to feel better instead of guilty? Then this book is for you. 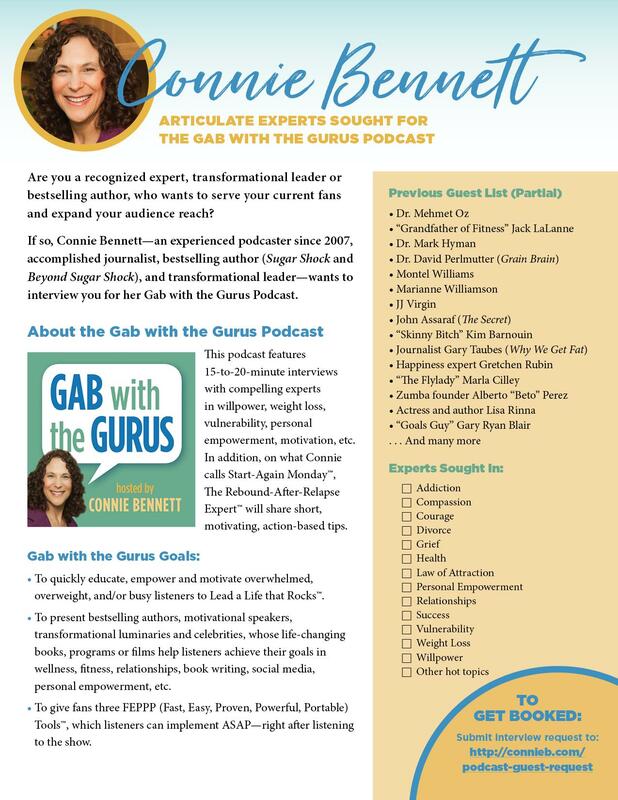 Connie Bennett, Sugar Freedom Coach extraordinaire, will show you how to ditch your sugar addiction by treating your body, mind and spirit with tenderness, compassion, and even humor!”–Jacob Teitelbaum, M.D., integrative physician and author, Beat Sugar Addiction Now!